Hey guys! I wanted to pop in before the long holiday weekend and share some of my recent cooking endeavors. 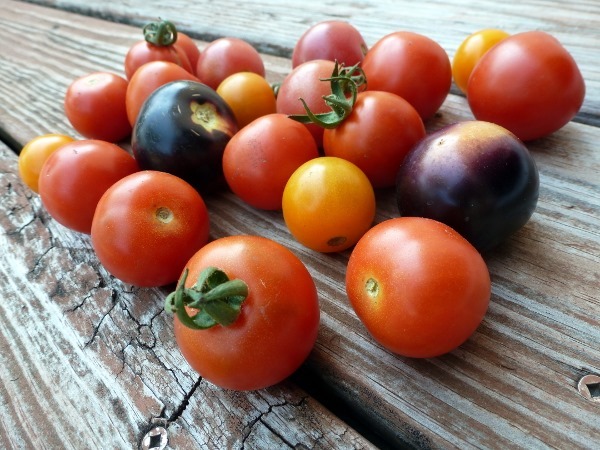 Specifically, the endeavors involving those gorgeous tomatoes grown by EMMA Acres that I recently purchased during a trip to Biercamp. 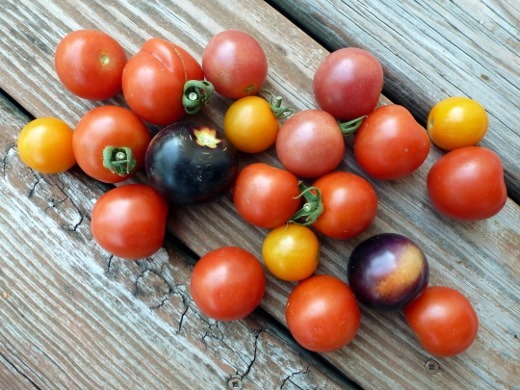 The first way I used them was probably my favorite way to eat tomatoes: in the form of tomato bruschetta. Cannot.get.enough. 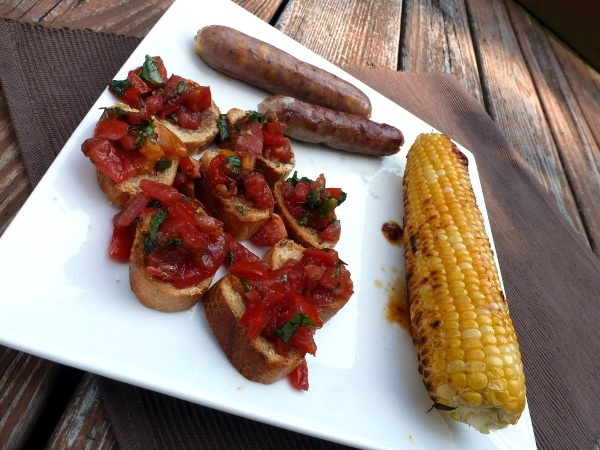 Toasted, garlic-rubbed baguette slices are the ideal vehicle for delivering amazing tomato basil goodness to your face. 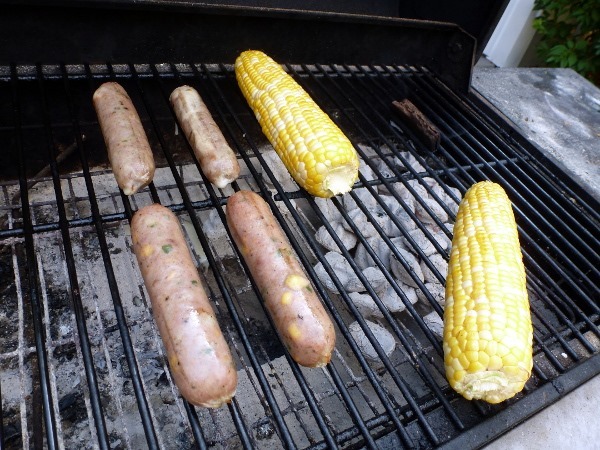 I would also like to mention the bangin’ Chipotle Lime Butter I made for our grilled corn. ‘Nother level, kids, whole ‘nother level. 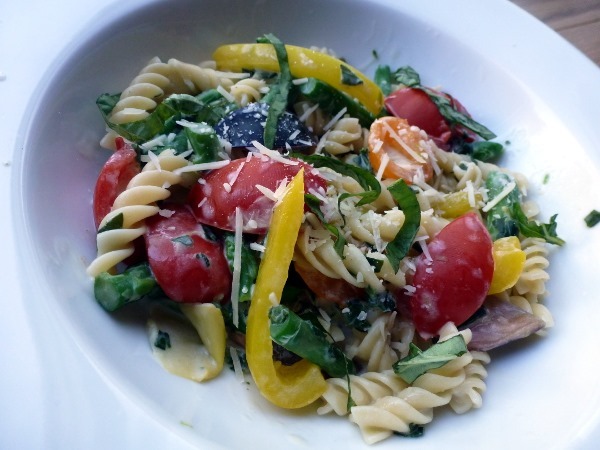 …they were bound for a Cooking Light recipe: Spinach-Artichoke Pasta with Vegetables. 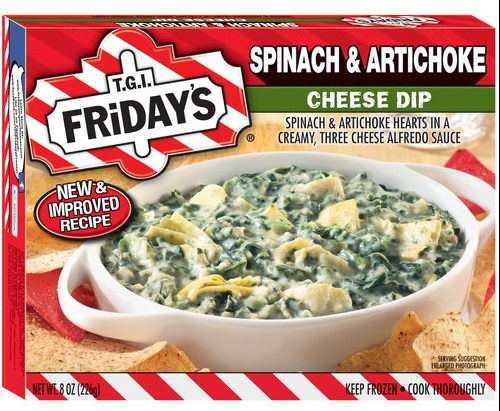 That’s right spinach-artichoke, as in TGIFriday’s spin’ dip from your grocery store’s freezer section. You know you love this stuff. You can’t deny it it’s crack-like qualities. At this point I’m a little worried I may have lost any ‘street cred’ I had in the world of nomming. Because, yes, that’s right, I totally mixed those amazing, gorgeous, local organic tomatoes with a box of frozen spinach and artichoke dip. But hey, it was Cooking Light’s idea, not mine. Can you guys dig that? I can dig it. In fact, I thought using frozen Spinach and Artichoke Dip was quite clever. 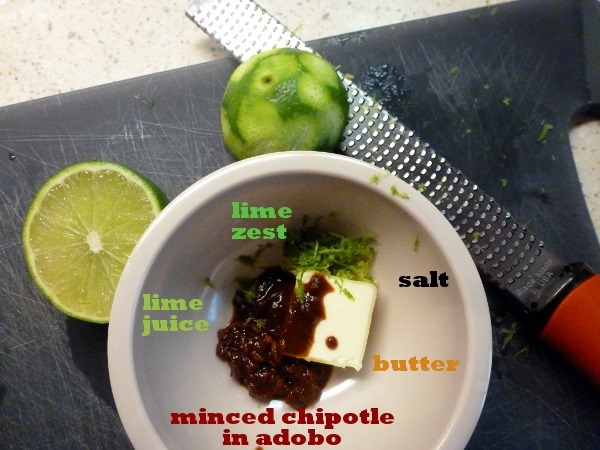 On of my favorite indulgence foods in a healthy dinner form!? Yes! Cook pasta according to package directions, omitting salt and fat. 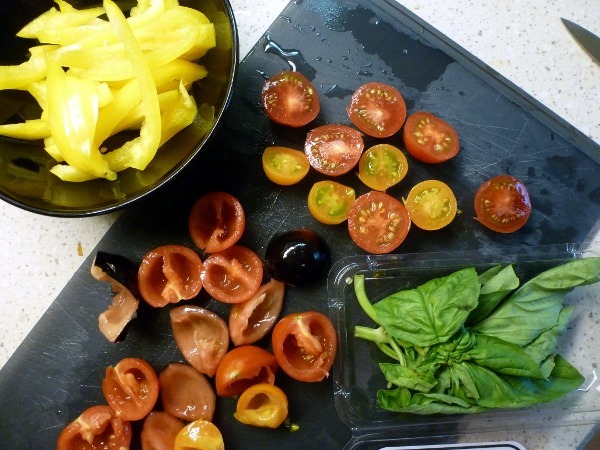 During the last 3 minutes of cooking, add asparagus and bell pepper to pan; drain. Combine milk and spinach dip in a medium saucepan over medium heat; bring to a simmer. Reduce heat, and cook 5 minutes or until slightly thickened. 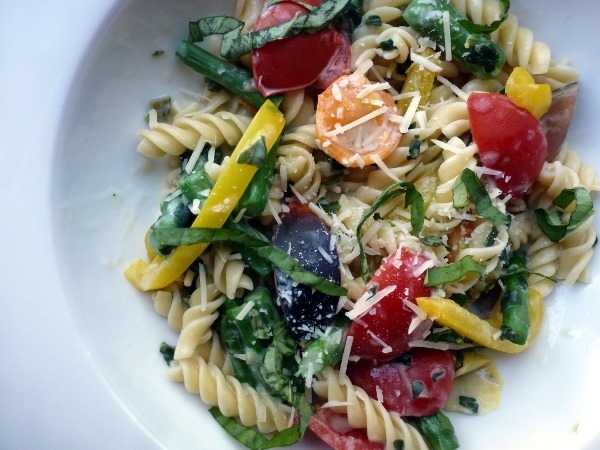 Combine pasta mixture, spinach mixture, salt, and tomatoes in a large bowl; toss to coat. Sprinkle with basil, pine nuts, and cheese.